David Blatner is an internationally known expert in publishing and the author of fifteen books on popular science, religion, and graphics. He is a frequent speaker at conferences and seminars around North America. You can find out more about David at his site 63p.com. 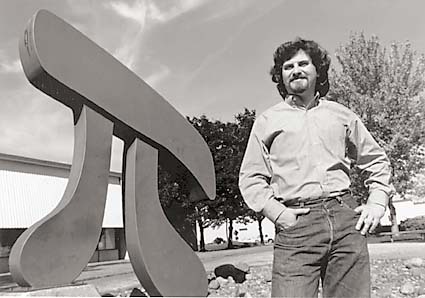 Photograph of David Blatner in front of Pi statue at Boeing campus in Renton, WA, by Robin Layton.